Our starting point tonight is the US-Saudi relationship. Two of the three guests will be appearing at the Roots of Conflict Conference at Portland State University on February 3rd (scroll down for more information). First 30 minutes: Dr. Scott Bennett, formerly of the U.S. Army 11th Psychological Operations Battalion, attempted to blow the whistle by contacting the media and writing to politicians after being sacked from his job as terrorist finance investigator after he proved too zealous at the job. So far the corporate media and the politicians have been unresponsive. (Check out the full story in his book Shell Game.) Scott will be appearing with me at the Portland conference. Second 30 minutes: Eric Walberg is a former mainstream journalist, author, and noted geopolitical analyst and Mideast expert. Like me, he writes for Crescent International. His most recent book is The Canada-Israel Nexus. Final hour: Dr. James Fetzer will be appearing with me and Scott Bennett at the Portland conference. He will also be lecturing in the Portland area on false flags and the JFK assassination. In this interview we discuss the many ongoing attempts to suppress critical thinking and open debate on key mythic-historical issues including: the JFK assassination, 9/11 and other false flags, holocausts and genocides, etc. US-SAUDI COALITION: Bringing peace or war? Muhammad al-Nimr on Saudi wars and interventions in Iraq, Bahrain, Yemen, Syria, Lebanon, elsewhere, and now threats made in regards to Iran. Dr. Aisha Juman: Saudi war on Yemen. 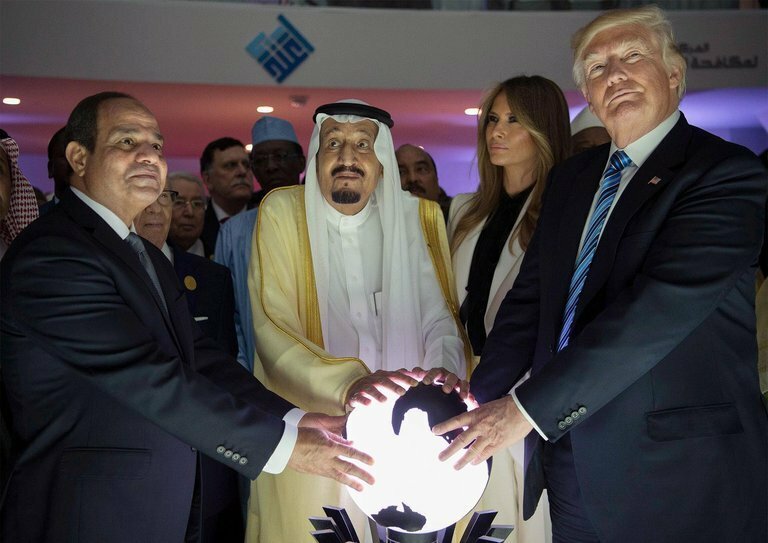 Catherine Shakdam: Prospects and possibilities for the Saudi regime, within the current confines of the current situation, where it is exacerbating conflict with Iran. How probable is a Saudi war on Iran and/or revolution? Dr. James Fetzer: On how Saudi Arabia got transferred from being a British protectorate into an American one. Who has more influence in Saudi Arabia, Britain or America? And, how have the Saudis have been utilized for the war on terror? Dr. Scott Bennett: U.S.-Saudi war of terror on Syria, as one who was whistleblower on the case. Dr. Kevin Barrett: Prospects and results of U.S. – Saudi relations; where to from here? Can U.S-Saudis create another major war in the region or will they face a revolution, or both? This show was broadcast on January 14, 2018. This entry was posted on Saturday, January 13th, 2018 at 3:00 pm	and is filed under 9/11, Anti-War, Censorship-Propaganda, Education, False Flag/Fake Terror, Freedom, Geopolitics, Kevin Barrett, News, Politics, Protest, Regime Change, War Crimes. You can follow any responses to this entry through the RSS 2.0 feed. He’s saying what’s happening in Palestine is due to God’s anger with the ‘Third Battle of Gaza’ where he mentions the Saudi’s joined with the British against the Ottomans, but later says it was also the people of the Palestine region who were involved in the treason and so this is why they are suffering, and the answer is to ask for forgiveness for that and become better Muslims etc.